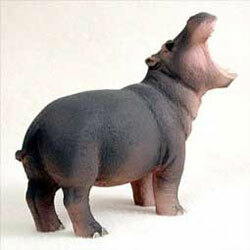 We are happy to welcome a selection of new hippos to the pod! 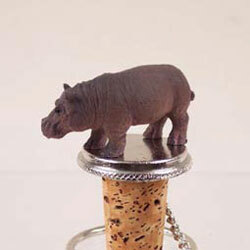 Your favorite animal will be the toast of the town on these pewter-base, cork bottle stoppers, designed to fit any standard bottle. Ideal for gift giving! See them here. 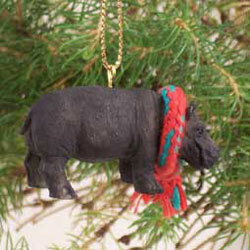 They usually hang out only in their native habitat, but now you can change all that with these hanging ornaments. 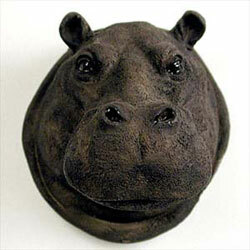 Made from a cold cast stone resin and beautifully hand painted, our hippo ornament wears a festive wreath and is ready for gift-giving. Click to purchase now! 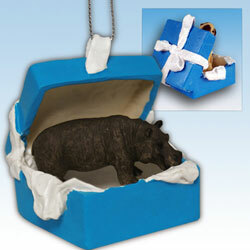 A richly detailed hippopotamus figurine is nestled inside this blue gift box with a loop for hanging on your holiday tree, in front of a window, or wherever you like. 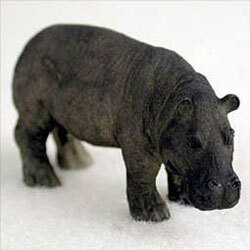 The hippo is hand painted on stone resin and boxed. 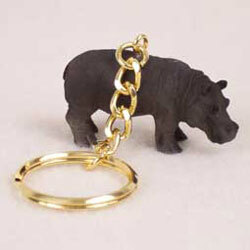 Buy one today for the hippo collector in your life!